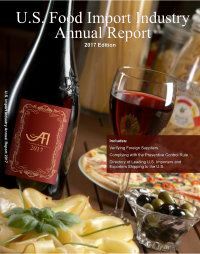 Across the board and across government agencies, AFI continued its 110+-year tradition over the past 12 months of ensuring U.S. importers and their foreign suppliers had the information needed to comply with new and existing regulations and a seat at the table in discussions of issues impacting our sector. The Food Safety Modernization Act, the biggest change to U.S. food law in more than seven decades, offers many examples of AFI’s work. In just the past 12 months, AFI meetings have featured some of the most knowledgeable speakers in the world in terms of FSMA and its impact. For example, David Acheson, the keynote speaker at the 2016 AFI Convention, was FDA Associate Director for Foods during the period when many of the FSMA provisions were first discussed within the agency. 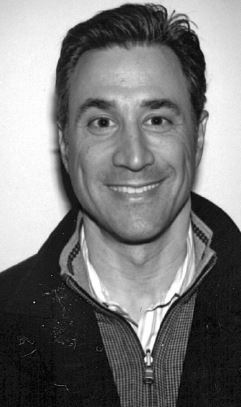 And Domenic Veneziano, the featured speaker at the 2016 AFI Town Meeting, had just completed a multi-year stint as the director of FDA’s Division of Import Operations and Policy before addressing our members for the third time over the past few years. Also during the past year, AFI President Bob Bauer served on the task force that developed the FDA-approved course covering the Foreign Supplier Verification Program component of FSMA. As one of the developers of the course, Bob was one of the very first people certified as an FSVP lead instructor. AFI has offered courses already and will continue to do so going forward. AFI also conducted several sessions of the course on the Preventive Controls for Human Food rule. More than 100 U.S. and foreign AFI-member companies plus others have sent representatives to take the courses through AFI. The AFI staff and board of directors recommends all members, particularly those producing product, have at least one person take this course. Importers not producing product will find it beneficial as well. It’s likely most U.S. members will want to have several employees take the FSVP course, too. It’s important our industry demonstrates to FDA and the public that we take our responsibilities seriously and are willing to take the steps needed to meet or exceed what’s required. All members also received a 60-page guide on FSMA. Domestic members received one tailored to importers; foreign members received a version written for them. All of this has given AFI members a competitive edge over non-member competitors; there can be no doubt about the value of our dues payments. While FSMA has kept AFI and all of us busy, there are always other issues to deal with. Beginning in early 2016, AFI has been a member of a broad-based coalition across many industries voicing concerns about and encouraging both sides in West Coast port issues to work together to avoid further actions such as the slow-down that hampered us all in 2015. The coalition is also in contact with members of Congress to try to come up with a legislative approach to avoid future issues. That coalition was also monitoring a tax reform proposal floated by the republicans in the House of Representatives that included a call for a border adjustment tax. Early in 2017 another coalition was formed specifically to address the BAT issue and AFI immediately joined that coalition as well. Proponents of the BAT claim any increase in taxes as a result of the across-the-board 20-percent (as proposed) tax on all imports, would be offset - by currency adjustments and other parts of the tax reform proposal. Coalition members are wary of relying on an anticipated currency adjustment, particularly because many economists don’t think that’s likely to happen. As of now, more than 400 corporations and associations are part of the BAT coalition. While it appears there likely will not be enough support in the House to pass the measure and several key members of the Senate have said there is no chance a BAT will be approved there, AFI, as a member of the coalition, will continue to represent our interests and keep us informed. Lack of space keeps me from going into detail on other issues but AFI has also been addressing issues related to U.S. Customs and Border Protection, USDA and the U.S. Trade Representative’s office, among others. While dealing with something the size and scope of FSMA and issues such as the BAT are not typical, AFI’s approach to handling these issues over the past year is typical; it’s put its membership and the industry at large in a much better position to be ready for and comply with any changes. Processed Foods - Luciano V. Sclafani, Jr.